Sub-Saharan Africa can achieve meaningful and sustainable change in health by 2030. Shutterstock. There is huge diversity within and across the 49 countries in sub-Saharan Africa. The challenges these countries face in achieving health outcomes that are at par with low and middle income countries in other regions of the world are numerous and diverse. But they are not insuperable. The future of health in sub-Saharan Africa is the focus of a new major report, “The path to longer and healthier lives for all Africans by 2030”. This Lancet Commission report is the culmination of more than four years of work among leading African academics, researchers, policymakers, business leaders, civil society organisations, and non-African collaborators. that by 2030 Africans should have the same opportunities for long and healthy lives that new technologies, well-functioning health systems, and good governance offer people living on other continents. To achieve this, the report offers 12 strategic directions that all sub-Saharan countries should consider in their policies and plans. These include the promotion of health, prevention of disease, and expansion of access to treatment and care. While these 12 options apply to all countries in sub-Saharan Africa, each country must adapt these in line with its specific needs, resources and culture. local research is the main way to identify challenges, set priorities, devise solutions, and make the best use of limited resources. Local research is also needed to understand and address health priorities, service problems, and socio-cultural issues of vulnerable groups. The gap between sub-Saharan Africa and other regions of the world is most accentuated in terms of research and higher education. The region not only has a critical shortage of researchers but a large percentage of researchers spend less than two years in African institutions. Most of these researchers leave to become experts on Africa in the countries where much of the research monies come from. Sub-Saharan countries have unprecedented opportunities to substantially improve health outcomes within a generation, largely with their own resources. Sub-Saharan Africa invests the least in funding for research. No country in the region invests up to 1% of its GDP in research and development compared to a global average of 2.12%. In some countries like South Korea and Israel, this percentage is above 4%. Much of the research in sub-Saharan Africa is through international collaborations. Such collaborations accounted for 79% of East African research output in 2012. Most importantly, these collaborations are almost always with non-African partners and involve unequal partnerships. Research collaborations among African institutions account for less than 3% of Africa’s total research output. There has been massive growth in the number of higher education institutions in SSA. Student enrolment in Africa is also increasing rapidly, especially at the undergraduate level. But there has not been corresponding growth in levels of funding, staffing, facilities and infrastructure in higher education. This has generally undermined the quality of university education, especially postgraduate education. Fifteen universities from eight countries have formed the African Research Universities Alliance, with the aim of strengthening research and postgraduate training in Africa. Despite these challenges, African research is on the ascendancy. Health research accounts for much of the growth in research output, often reflecting the priority of external funders of research. Between 2000 and 2014, sub-Saharan Africa achieved a growth of 251% in research output compared to 96% globally. While impressive, this also reflects the very low base of Africa’s contribution to global knowledge production. The continent currently accounts for only 2·6% of the world’s output of scientific papers. Most of this output is from South African universities. 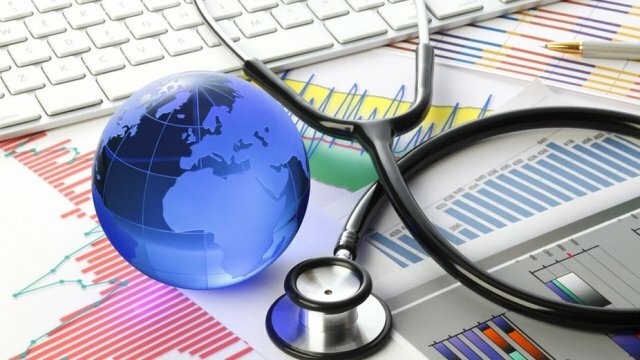 Each country to develop a 10 to 20-year strategic plan for national health research. This should be coupled with a financing strategy for creating and strengthening departments and institutions responsible for all areas of research. allocate at least 2% of national health expenditure and at least 5% of external aid for health projects and programmes to research and research capacity building’. Invest in internationally competitive centres of scientific excellence and expand post-doctoral programmes to raise the quality of higher education and research. Expand research and education collaborations, particularly within Africa, and reshape international research partnerships around mutual agenda setting and benefit. Academic institutions in sub-Saharan countries to invest in the development of contextually relevant health sector governance and leadership programmes. Finally, the report recommends that international agencies should support the strengthening of higher education and research institutions by incorporating core funding and removing arbitrarily low caps on overheads on project grants. With the lack of critical mass of skilled researchers in many African countries, strengthening regional research collaboration could be a strategic priority for the region. African countries could consider creating a basket of funding for research which countries could contribute to. Researchers within the contributing countries would then compete for funding from the pool. Development partners can be invited to provide matching funds thereby increasing the size of the basket. The African Development Bank or some other continental body could centrally manage the funds and underwrite the associated administrative costs. Further requirements can be introduced. For example, applications could be limited to collaborative research involving researchers from at least two countries or sub-regions. Preference could also be given to applications with collaborators from countries with weak national research systems. These measures, together, will represent “a serious shift in mindsets”, which the commissioners argued is key to achieving meaningful and sustainable change in health in sub-Saharan Africa. Alex Ezeh – Board of Advisors member at UNU-IIGH.